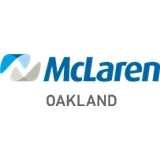 McLaren Oakland-Ortonville Family & Internal Medic (Ortonville) - Book Appointment Online! Dr. Young was great! Took the time to listen to us and was very great with my son. We are happy to have found a new doctor!